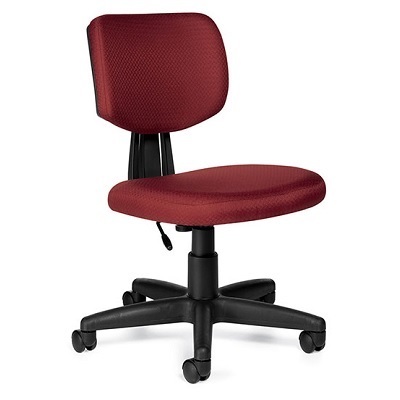 Offices To Go™ Tami Task Chairs. Hinged back, scuff resistant outer shroud, dual wheel carpet caster. Pneumatic seat height adjustment, seat depth adjustment. Quilt fabric, specify colour.